Megan Racing Turbo Type Cat-Back System is one of Megan Racing’s strongest products. The Turbo Type Cat Back System, is made with SUS 304 Stainless Steel with fully polished surface, CNC machined flanges and are mandrel bent. Its aggressive styling, and deep, strong tone are just part of the Turbo Type Cat-Back. It is also able to improve horse power and performance with its straight-through design. 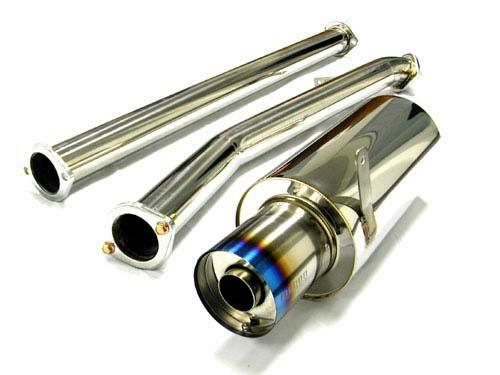 We have 2.5” piping and 3” piping for certain models, a tip that is specially designed to reach the maximum performance, and have a perfect match on body styling. As a direct bolt on, each Cat-Back comes with 12 months warranty.